If you want to include your pets in the ceremony without upstaging your human ring bearer, let the kiddos walk them down the aisle. Cute signs are a fun, simple way to convey a message to all of your guests. Why not station your pet next to the sign so he can help get your guests' attention? 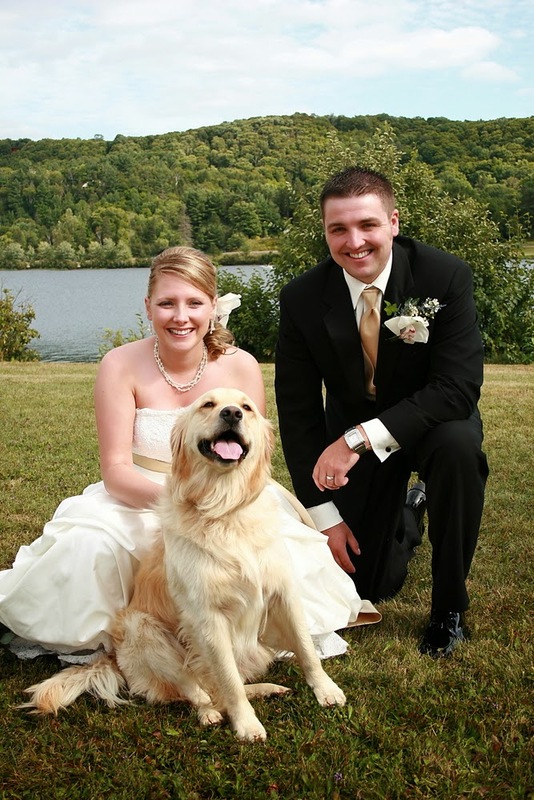 You could include any type of pet imaginable in your wedding photos! Cats, dogs, birds, ferrets, pot-bellied pigs... Bring them all! If you and your groom opt to write your own vows, include your pets in your promises! Even if it's a simple reference ("I promise to love you as much as I love Whiskers"), mentioning your pets in your vows can be a great way to involve them. 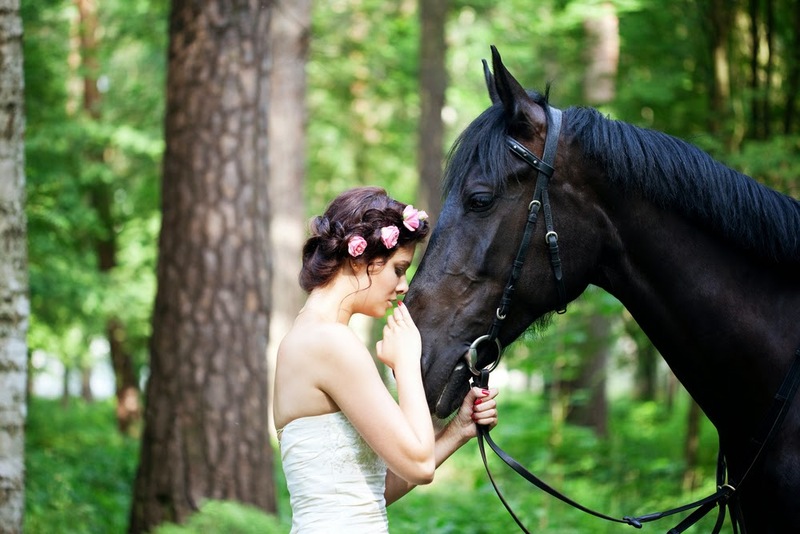 If you've always been a horse girl, what could possibly be more perfect than exchanging vows while riding two beautiful horses? Photographs can be a great way to add interest to your reception. Whether you choose to set up a slideshow or accent your table decorations with framed photos, pictures can be a great way to include your pet. No matter how you choose to involve your pet, making them a part of your special day will undoubtedly make your day that much more special! If you have any other ideas for including your pets in the wedding, we'd love to hear them. Leave us a comment below! Don't forget about our Coupon Code VIPBRIDE. Save an additional 10% off your entire order at WhereBridesGo.com!! We also offer FREE SHIPPING on all orders over $100 (continental US only).